More information on Intel and AMD's planned launch for their respective next-generation processors has come to light thanks a couple of reports by CPU World and SWEClockers. According to the former, Intel will kick things off announcing the first desktop and notebook Ivy Bridge processor models in the last week of April, with a bunch of quad-core chips available for sale from April 29. These will include several new Core i5 and Core i7 chips for the desktop market, and three Core i7 mobile processors -- as detailed below. Dual-core mobile chips are supposedly coming on June 3 along with another handful of quad-core desktop Ivy Bridge processors. Early reports indicate we'll see a 5% to 15% increase in CPU performance and a 20% to 50% boost on the graphics side with these chips compared to their Sandy Bridge equivalents. We should start seeing fast and powerful laptops with new Core i7 processors on the market later this spring. However, the absense of low power mobile SKUs suggests we won't see the next wave of Ultrabooks with Ivy Bridge processors at least until June -- probably coinciding with the Computex trade show in Taipei -- when Intel rolls out its power sipping Core i5 and i7 chips, including the i5-3427U and i7-3667U. 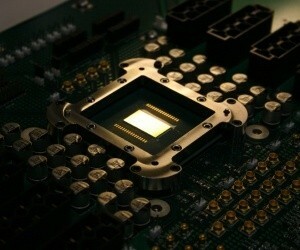 Meanwhile AMD's Trinity chips, which will succeed the Llano generation of APUs, are rumored to be launching on May 15. No specific models were listed on the report by SWEClockers, only that the launch will include desktop and notebook chips. Some more low-power APUs for "thin-and-light" laptops (essentially, AMD's answer to Intel's Ultrabook efforts) are reportedly set for a June release. Trinity will feature up to four "Piledriver" cores, which are enhanced variants of the Bulldozer core found on FX Series processors, as well as an AMD Radeon HD 7000-series "Southern Islands" graphics core with DirectX 11-class graphics support, DDR3 memory controller and other improvements.